Depression is a growing problem and anxiety is becoming an epidemic as our fast paced world becomes even more intense. Relationships, career, finances, social engagements, society and the diet we eat all play a part. In this article ‘Have Anxiety or Depression? Try Going Vegan’ we are going to explore how diet can play a huge part in your mood. It’s estimated that depression costs about $210 billion per year in the United States, and Australia isn’t far behind.. with 1 in 5 experiencing some form of mental illness at some stage in their lives. Recent research shows that an effective way to treat depression may NOT be through medication but through dietary changes. A study published in the journal Neuroscience showed that diet plays a huge role in having a daily positive mood. Out of 620 participants, those who ate the most fruits and vegetables and the least animal products were found to have less depression and anxiety than those who ate a standard omnivorous diet. The participants were divided into three groups based on their food choices: vegan, vegetarian or omnivore. They then tested and measured their overall mood using the Depression Anxiety Stress Scale (DASS). While the results showed that overall those eating a vegan diet had lower stress scores, results did differ between male and female participants. In males, a higher fruit and vegetable intake was associated with less anxiety. For females, a vegan diet along with DECREASING sweets led to reduced stress levels. This study is in line with others that show vegans and vegetarians to have a more positive mood in general. Seventh Day Adventists, are a great example as they tend to follow a more plant-based diet and report maintaining a healthy mood, even despite decreased intakes of omega-3 fatty acids. 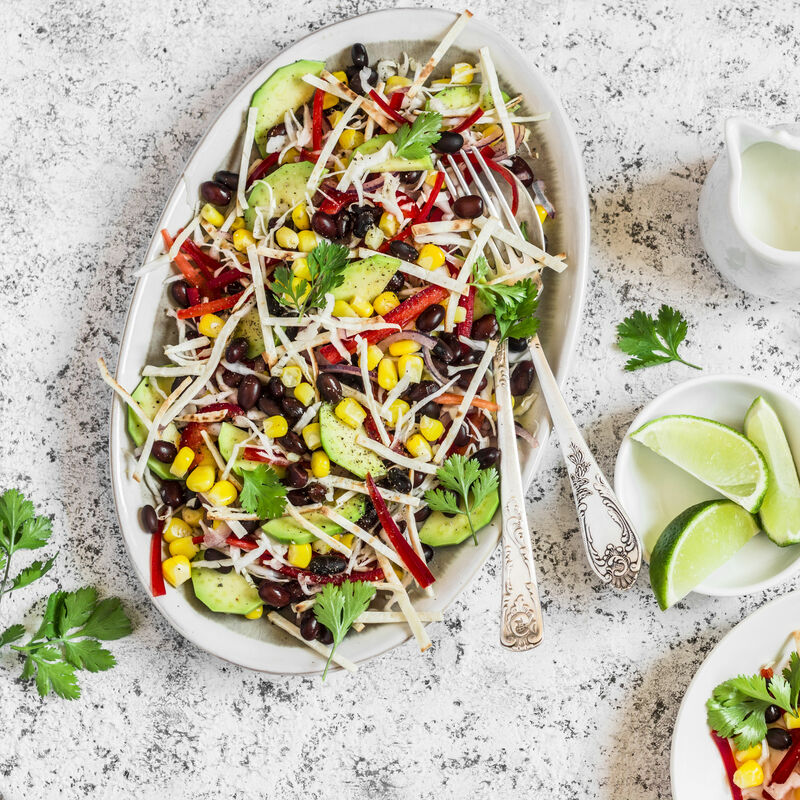 A raw vegan diet is arguably the most powerful plant based diet as it not only incorporates the principles of vegan eating, but also eliminates all processed foods, focusing on alive, vibrant and fresh natural produce, in it’s whole form. A delicious way to combat depression and anxiety! Foods consumed in their most natural raw state ensures a multitude of vitamins, minerals, digestive enzymes, antioxidants and phytochemicals are available to the body to help keep depression away. If you are interested in exploring a plant based diet sign up to me on my Home Page! And get your free eBook – 5 Easy Hacks To Plant Based Eating. I share with you some easy swaps to make in your pantry, and a couple of delicious but EASY recipes to try. Also on my website are free raw food recipes and lots of information on the blog. 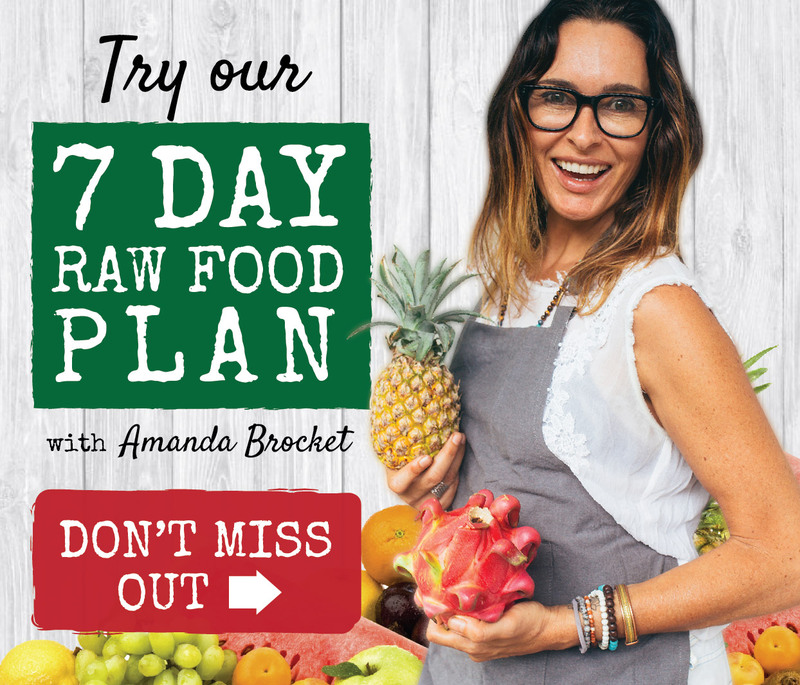 If you’re ready to try 7 Days of Raw, try my raw food diet plan – meal plan, shopping list, delicious, easy recipes and starter kit. Experience the upgrade in just 7 days!